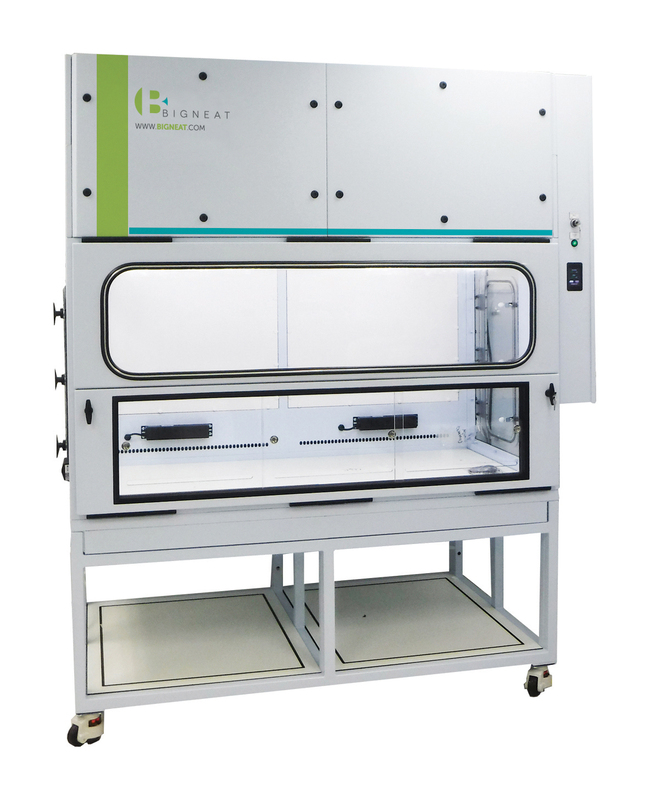 Based on the Class II cabinet this Cytotoxic Biological Safety Cabinet provides the highest level of operator safety to protect you and your personnel whilst processing hazardous cytotoxic/antineoplastic drugs. Cytotoxic Safety Cabinet manufactured to BS EN 12469:2000 standard. A microprocessor continually controls cabinet functions, monitoring of the cabinet airflow is displayed on an LCD panel and a blower hours-run metre tracks operating life. Audible and visual alarms are included for malfunction or incorrect flow conditions. BRCYTO cabinets work in the same way as conventional Class II cabinets, however there is additional HEPA filtration below the worksurface. This filtration minimises the possibility of airborne contamination. Added level of safety and personnel protection by enabling a filter change without exposing the ambient environment or service personnel to potential hazards.